Daryl Weathers remembers trying to pull men from the sea off Alaska's Aleutian Islands after a U.S. Navy destroyer hit a mine left by the Japanese following the only World War II battle fought on North American soil. "They were so slippery, you couldn't get ahold of them," the 94-year-old Weathers said this week from his home in Los Angeles. 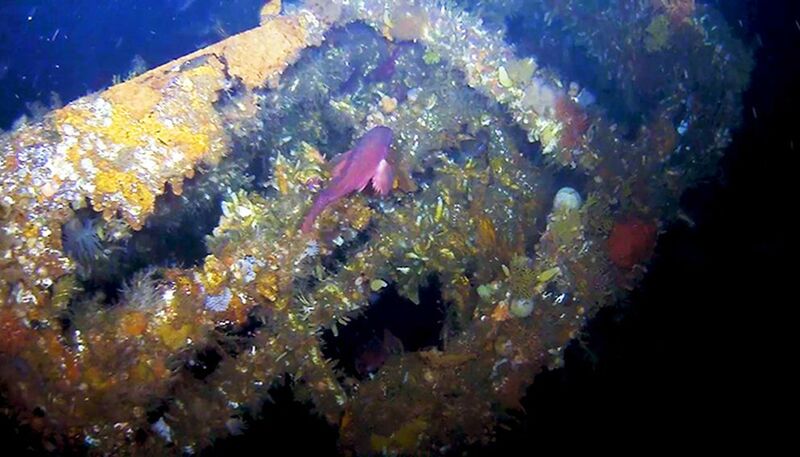 Nearly 75 years later, scientists using multi-beam sonar have discovered the 75-foot stern about 290 feet below the surface of the Bering Sea. The researchers confirmed the discovery with a remotely operated craft, which provided high-definition video in real time to those on the research ship. "To hit success is obviously extremely joyous for everybody. There's lots of cheering, you know, it's like scoring a touchdown," said Andrew Pietruszka, an underwater archaeologist with Scripps.